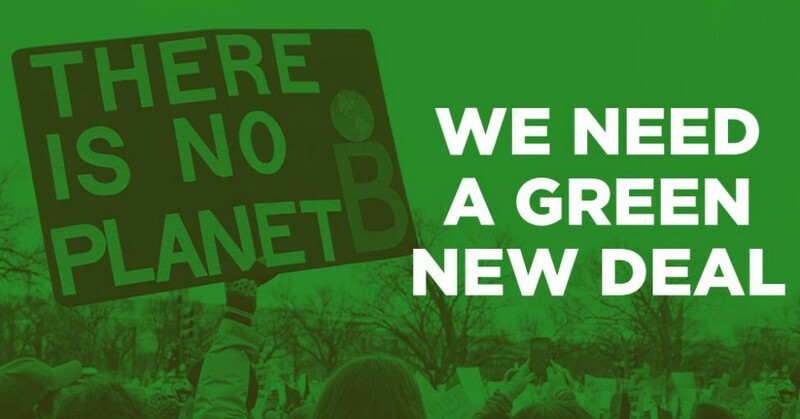 This entry was posted in Agriculture, Civil Rights, Climate Change & Environmental Issues, Economics, Education, Energy, Fracking, Government, Human Rights, International Agreements, Mining, Peaceful resistance, Social Justice, Technology, Water, Women's Issues, Workers' Issues and tagged 350.org, Agriculture, Alexandria Ocasio-Cortez, Ayanna Pressley, Big Oil, Brendan Boyle, Capitalism, carbon pollution, Civil Rights, Climate Change, Coal, coal power, deregulation, Donald Trump, Economics, Ed Markey, Education, Environment, Food and Water Watch, Fossil fuels, Fracking, Green New Deal, Greenpeace USA, Human rights, Indigenous people, indigenous rights, International Agreements, Joaquin Castro, Joe Neguse, Mining, Oil, Oil Change International, Pramila Jayapal, renewable energy, Ro Khanna, social justice, technology, Ted Lieu, Water, Women's Issues, workers' issues, Yvette Clarke on February 6, 2019 by MNgranny. 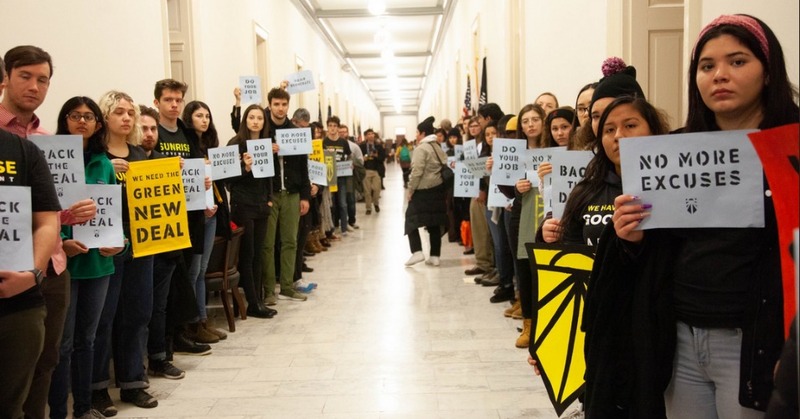 Before presumptive House Speaker Nancy Pelosi (D-Calif.) even appeared at her office to hear from young Americans who had traveled from all over the country to urge her to back a Green New Deal, Capitol police arrived Monday and arrested more than 60 of the protesters. As of this writing, at least 143 demonstrators had been arrested as they lobbied in 50 congressional offices. This entry was posted in Civil Rights, Climate Change & Environmental Issues, Demonstrations & Protests, Economics, Energy, Government, Human Spirit, Social Justice, Solidarity, Technology, Women's Issues, Workers' Issues and tagged 350.org, Capitalism, Civil Rights, Climate Change, Economics, Energy, Environment, Green New Deal, Jim McGovern, Kerri Harris, Nancy Pelosi, Protests, social justice, Solidarity, Steny Hoyer, Sunrise Movement, Women's Issues, workers' issues on December 11, 2018 by ew.